of Marketing, Time and Expense? So You Can Retire Comfortably Someday? There is a tested and proven answer to both questions - - developing, growing and maintaining a successful referral relationship with an estate planning attorney. Sounds simple, right? Many have tried this but few have succeeded. How do you do this so it actually works? Nationally renowned estate planning attorney (and Ultimate Estate Planner President) Phil Kavesh knows how. Back in the 1980s, he was one of the very first pioneers of a “multi-disciplinary” practice, meshing his law firm closely with financial advisors. Over the succeeding years, his referral process has catapulted three different financial advisors to #1 in their broker-dealers. Furthermore, each advisor has accumulated enough AUM that he or she could retire from their practice tomorrow (if he or she felt like it), fetching an eye-popping purchase price! You can do this too, if you know the detailed, step-by-step process that’s taken Phil over 30 years to perfect! How to motivate the attorney to consistently make client referrals to you - - by showing him or her the “WIFM”! How the attorney should go about making a referral that will actually come in and do business with you - - step-by-step, including exactly what to say and what not to say! How to orchestrate the only kind of referral process that actually works - - the “handoff”! 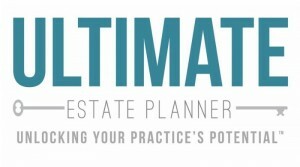 How to present the attorney with the ultimate referral motivation - - creating a significant, virtually passive income stream so he or she can retire comfortably someday, without even having to go through the hassle of selling their practice! Includes: Teleconference Participation on 2-Part Series including PDF Handouts and MP3 Audio Recordings. Includes: Teleconference Participation on 3-Part Series including Printed Handouts and Audio CDs (sent 3 to 5 days following each program). You have the option to register for each individual program if you so choose. Part 1 ONLY: “Developing, Growing and Maintaining the Relationship” on Monday, October 24th, 2016 at 1pm Pacific Time (4pm Eastern Time). Duration: 120 Minutes. Standard Registration Includes: Teleconference Participation, Handouts and Recordings. Premium Registration Includes: Teleconference Participation, Handouts and Recordings, plus Printed Handouts and CDs (sent 3 to 5 days following the program). Part 2 ONLY: “Implementing Financial Arrangements (both Legally and Ethically)” on Tuesday, October 25th, 2016 at 1pm Pacific Time (4pm Eastern Time). Duration: 60 Minutes.